His side was a force to reckon with after finishing second on the log in Malawi’s Super League but went on to play nine games in the second round without registering a win, ending their title hopes in the process. However, despite targets set aside by Tigers’ executive, head coach Gerald Phiri is optimistic of staying at the club next season . 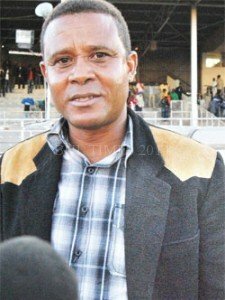 He succeeded Franco Ndawa who was fired after failling to bring any silverware to the club and upon taking over, the latter was given a target of bringing a trophy to the Kau Kau boys by chairman Sydney Chikoti’s led executive committee. But months after taking over, that dream is nowhere to be seen as his side has played nine league games without a win and exited Carlsberg cup in the preliminary round. To make matters worse, Tigers did not participate in the just ended Standard Bank Knockout Cup because they accumulated fewer votes than Mighty Wanderers, Dedza Young Soccer, Kamuzu Barracks and Mafco FC who sailed through to the preliminary round of the competition based on the votes they got from customers. Speaking in the aftermath of his side’s 2-1 defeat to Big Bullets on Wednesday, Phiri said giving him a target was unrealistic and he is hoping to stay at Tigers for another season. “I am ready to stay at the club for at least another season but if they are not happy with my performance, I am ready to go,” said Phiri. “My players are struggling financially and we cannot do well when the players are not happy but this is not an excuse, we didnt do well and we will go back to the drawing board in order to come back stronger next year,” he concluded. Tigers are remaining with five games in which Phiri has vowed to win in order to finish in the top six of the top flight.